Haruka Nakagawa is now preparing for her debut as a solo singer. According to the former JKT48 and AKB48 member, the first single will be made in Indonesian language. "It's an Indonesian song. But it's still made that way, because it's not the cover of the song," Haruka said when met at the Opening of the 2018 Japanese Cinema Week at CGV Grand Indonesia, Tanah Abang, Central Jakarta, Friday (7/12). Even though the single will be sung in Indonesian, Haruka said she did not feel difficult. Because when she was a JKT48 member, she also sang a number of Indonesian-language songs. "No, it's not that difficult, in JKT48 the song is in Indonesian, I sang that very often." Haruka said. However, she is aiming to release an album, besides singing Indonesian songs, Haruka also wants to have Japanese songs. 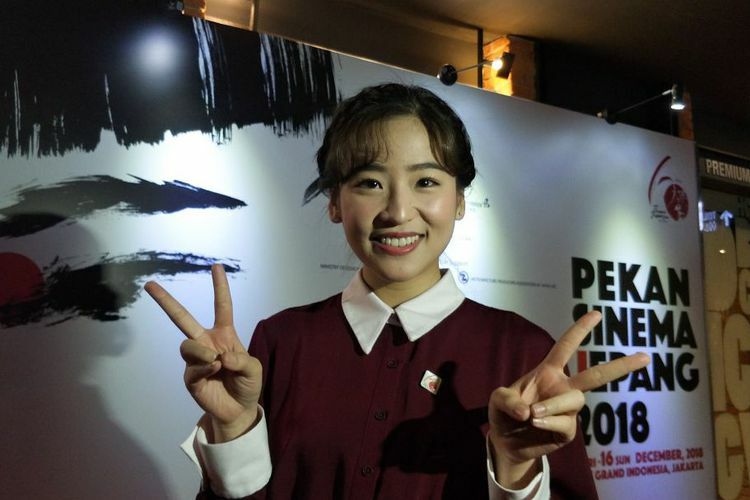 "If you can Indonesia with Japan, I also want to cover in English," said Haruka.